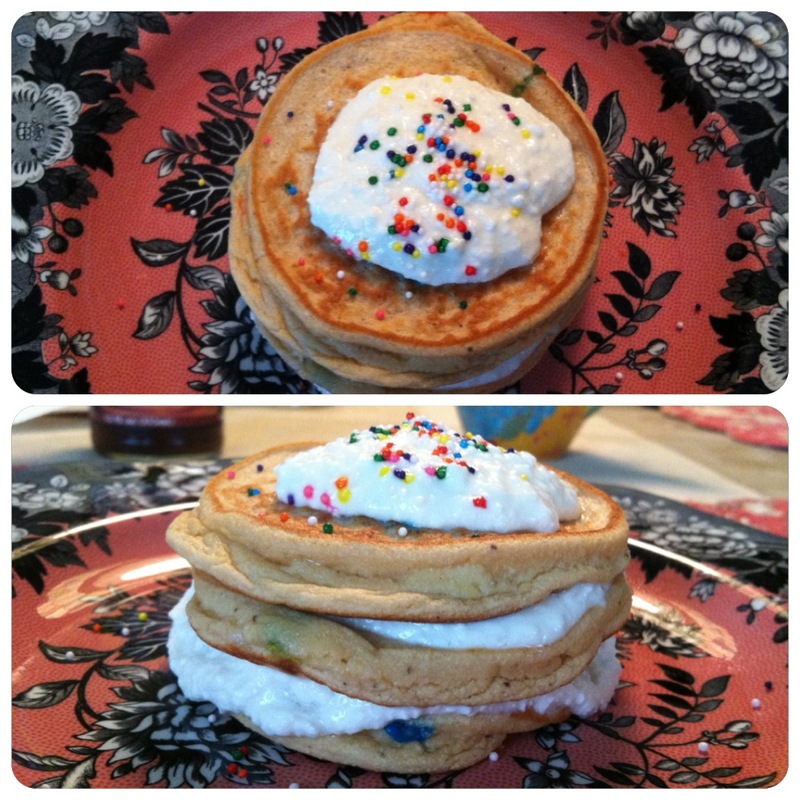 Yes I said it…cake for breakfast..sprinkles and all! Most of you who follow me on instragram know I have a strong relationship with my various pancakes that I get creative with a few days out of the week. These guys are still packed with protein and healthy carbs but the secret ingredient is not the cleanest or healthiest thing out there for you, but hey you only live once. To give these pancakes a cake batter flavor I added sugar free vanilla pudding mix to the batter but I am on the hunt for butter extract which is a much healthier option that would probably work great. Add egg whites, milk and vanilla extract in small bowl and whisk. Combine remaining dry ingredients in a small bowl. Add the wet ingredients to dry and mix well. Heat a non-stick pan to med-high heat. down with cake for brekkie!